If 2004 really is to be the year that indie returned to lay claim to the huddled youths of the world (clinging to each other in mortal fear of nu-metal and garage rock), then it is only natural that we look towards the small but indie-rich isle that is Scotland for its guiding lights and inspiration. Throughout the past two decades, the northest climbs of Britain have consistently matched any other locale for quantity, quality and innovation. Ergo, it is really rather unsurprising that the nation's new favourites are art-pop heroes Franz Ferdinand, that kings of indie Belle & Sebastian have re-emerged from their creative slump and that Dogs Die In Hot Cars album is really quite magnificent. Entering into the music lover's consciousness halfway through last year with the sublime 'I Love You 'Cos I Have To', it's been a strangely rocky road already; they quickly signed to V2 with all its perceived major label clout, but their next two singles failed to replicate that initial excitement, even though 'Godhopping' was a fine song (first V2 single 'Man Bites Man', however, has telling failed to make this album). It's a mild wonder then, that 'Please Describe Yourself' is as good as it is; rarely does a debut record offer such assuredness, consistency and creative quality. 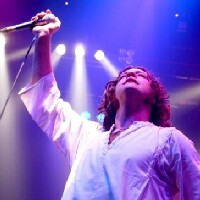 Starting off with the 24-carat tunefulness of 'Godhopping', which still sounds like a twisted Men At Work (obscurity fans), and finishing with the off kilter pop balladry of 'Glimpse Of The Goodlife', 'Please Describe Yourself' is stuffed full of a playfulness which gently hides subtle underlying themes of sadness, ageing and unhappiness. The deftness of touch with which they treat their subjects matches the way they approach their music. At times, the musical innovation and arrangements they offer are quite astounding, such as the tear drop keyboards and moaning brass of centrepiece song 'Celebrity Sanctum', a song about vicarious love and image obsession that, despite name checking the likes of Lucy Liu and Catherine Zeta Jones, maintains a moving sense of ennui rather than attempting to play it for laughs. Like Pulp, it appears that Dogs Die know how to make good singles but even better albums. Also like Jarvis Cocker, singer **Craig Macintosh** manages to treat his subjects with empathy and a knowing nod, rather than a sneer or condescension. hardly the words of the next indie has-beens we hope. Comparisons to **Dexys Midnight Runners** aren't far off; the bands share the ability to combine storming tunes with somewhat more cerebral matter. Alternatively, 'Apples & Oranges' with its contorted backing vocals and whining synths makes like XTC and adds a pleasant dose of the abstract, whilst 'Paul Newman's Eyes' rocks like a disgusted Housemartins. 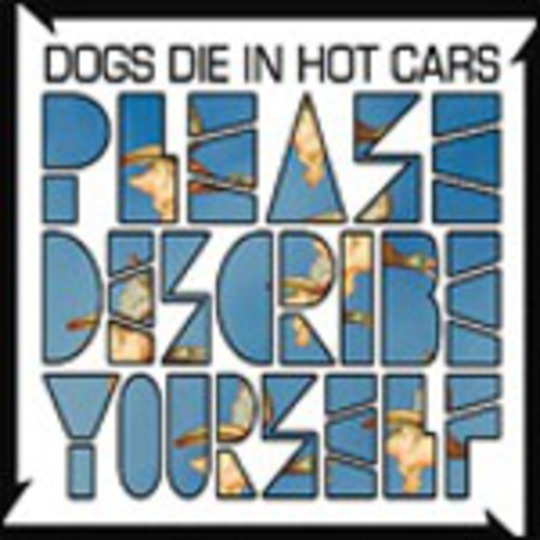 But Dogs Die In Hot Cars are not the sum of other people's parts; they more than hold their own and carry a uniqueness to fend off any accusation of unoriginality. What it does boil down to is that 'Please Introduce Yourself' is the best indie record of the year bar none, for no other band has successfully mixed playful and serious, novel and attention grabbing and hip and super uncool as much as this has.